S&P Global Ratings on Tuesday said that corporate activities that are designed to support the government coffers -- such as share buyback -- by PSUs are 'credit negative' for such entities. 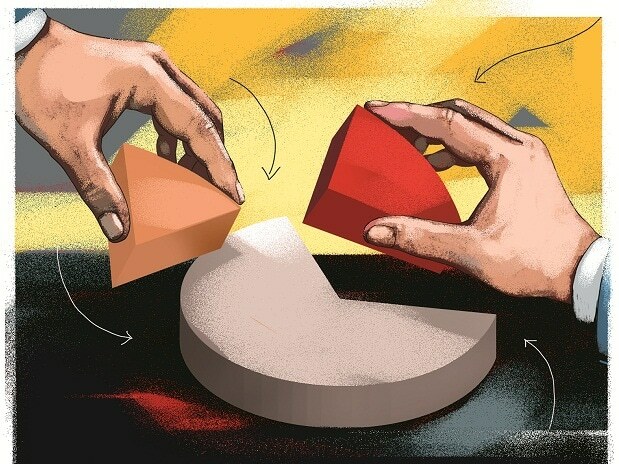 In the past three months, 10 public sector undertakings (PSUs) have announced or executed buybacks for a cumulative amount of Rs 15,000 crore, which will count toward the government's target of Rs 80,000 crore from disinvestment of state-owned entities. "S&P Global Ratings foresees credit risks at Indian SOEs (state-owned enterprises) from a corporate activity designed to support the Indian government's budgetary coffers," the US-based rating agency said in a statement. The impact on the respective companies can vary depending on the size of cash outflow, it added. "Extracting cash from SOEs decreases their financial flexibility in a stress scenario, which -- at least over the short term -- is credit negative at the firm level," S&P said. It said while extraction of existing excess capital in the form of dividends generally has an impact only on the short-term business of SOEs as dividends are discretionary and can be scaled back if future profitability is low. "In contrast, we believe that debt-funded share buybacks, mergers or acquisitions have longer-term implications. Further, reduced government linkages to divested firms may lower the likelihood of government support in a stress scenario," S&P said. The share buybacks announced so far, including the Rs 4,000-crore offering at Oil and Natural Gas Corp (ONGC), are manageable within the credit profiles of respective PSUs, it added. ALSO READ: ONGC share buyback opens today. Should you tender your shares? "However, the risk of a large and disruptive payout increases as the government runs out of time on its SOE stake sale target for the financial year," S&P said. S&P said Power Finance Corporation (PFC) capitalisation is under pressure due to the government's direction to acquire REC, another SOE that finances the country's power sector. "While we await the final acquisition cost, PFC's leveraged buyout of the government's 52 per cent shareholding in REC led us to place the rating on CreditWatch with negative implications," it said.